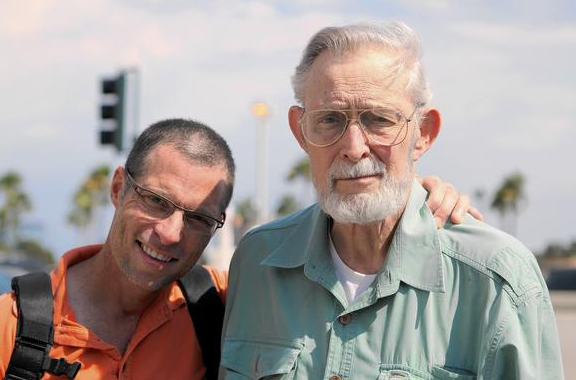 You will recall that my friend and community activist David Stiller, shown above with his son, Eric, passed away in March and that his family chose to have a memorial service for him later this month, on Friday, May 30th. I'll post another reminder of his service right after Memorial Day. Motel Police Calls And Nuisance Complaints Plunge! 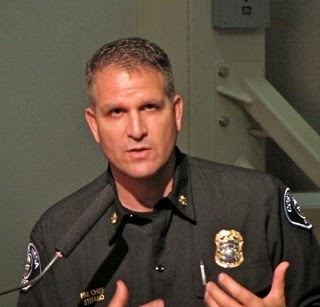 In a press release today, HERE, the City of Costa Mesa, via Chief Executive Officer Tom Hatch, announced that police calls and nuisance complaints for motels and hotels within the city have dropped dramatically during the first quarter of 2014 when compared to the same period last year. Hatch credits City Council members, Planning Commissioners, the city staff, the Orange County Health Care Agency, community members and motel operators for this drop. This, of course, is good news - as far as it goes. Unanswered is the question of how many calls that should have been made were NOT made because of fears of very significant fines that would be levied against the motel operators. The press release tells us that the city has not YET begun fining motel operators, but if they had, the fines would have totaled $2,880. I watched the many hearings on the new ordinances set in place to manage this issue and heard the concerns from the motel operators about how the fines might severely hurt their businesses. Many of them speculated that law enforcement might not be called because of the potential for fines and serious issues may not be handled in a timely manner. We have no sense of that part of the equation from the city press release. Still lingering in the back of my mind is Mayor Jim Righeimer's many statements about his goal of making motel owners take a more "realistic" view of the value of their properties - something he intended to facilitate by hammering them with code enforcement fines and, now, fines for violations of the nuisance ordinance and excessive calls for service. It was very clear that Righeimer felt some of the motel owners needed to be made to see the folly of valuing their properties to high, making them difficult for his developer buddies to acquire. WHAT ABOUT AFFORDABLE HOUSING DEMANDS? And, based on recent comments during Planning Commission meetings, it is clear that the intent is to reduce the number of long-term-stay units in motels to ZERO - a fact that negatively impacts those in the community who have no alternative source for affordable housing. So, congratulations to all involved for making life easier for the public safety staff and, theoretically, making the community safer. Perhaps some enterprising real reporter will help us with the other side of the equation - how many calls that should have been made were not because of the potential for "using up" their authorized number of calls? That would be good information for us to know to fully assess the effectiveness of these new initiatives. 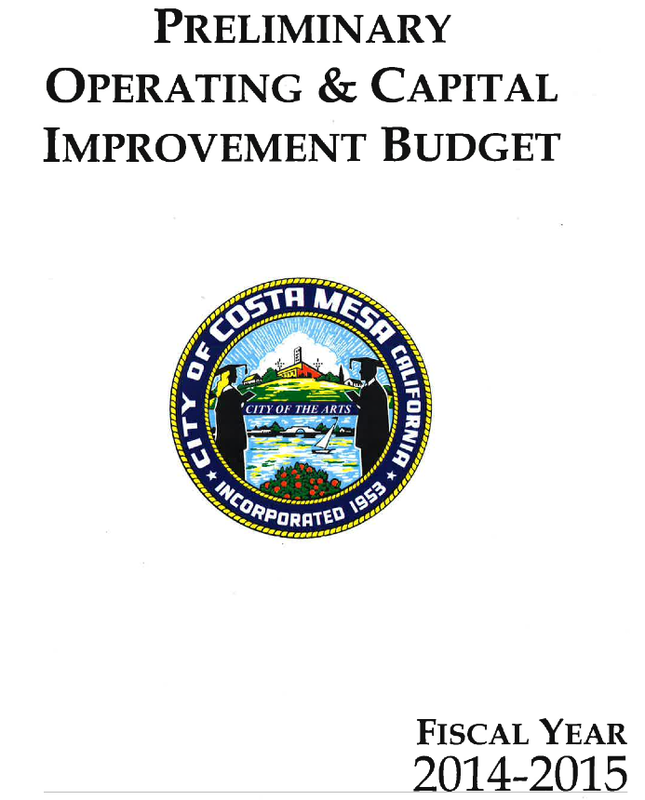 In a press release dated May 5, 2014, HERE, the City of Costa Mesa announced two meetings next week at which the Preliminary 2014/2015 Municipal Budget will be presented to the City Council and the community. The first meeting will take place as a City Council Study Session on Tuesday, May 13, 2014, beginning at 4:30 p.m. in City Council Chambers. You can review that agenda HERE. The second meeting will be an informal question-and-answer session with CEO Tom Hatch and Interim Finance Director Steve Dunivent from 5:30 - 7:00 on Wednesday, May 14, 2014 in Conference Room 1A at City Hall. In past years this meeting was typically held AFTER the budget was approved and adopted. This time around residents will have a chance to ask questions BEFORE the council takes final action. 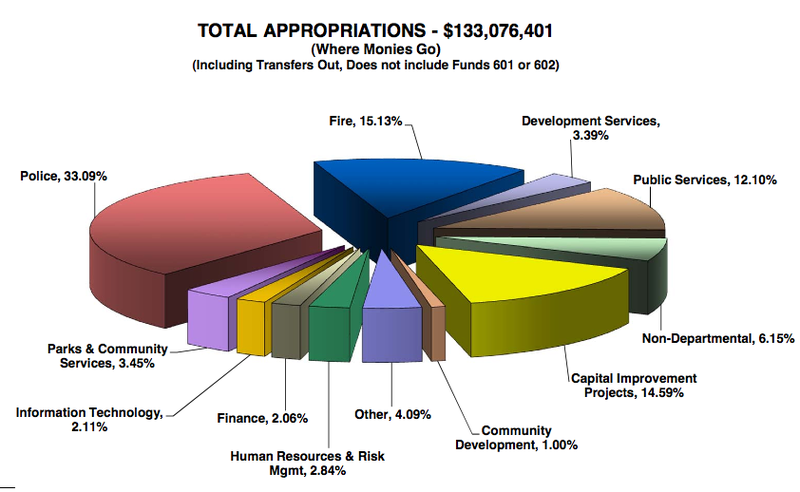 This new budget has an increase of just over 6%, to just under $140 million. 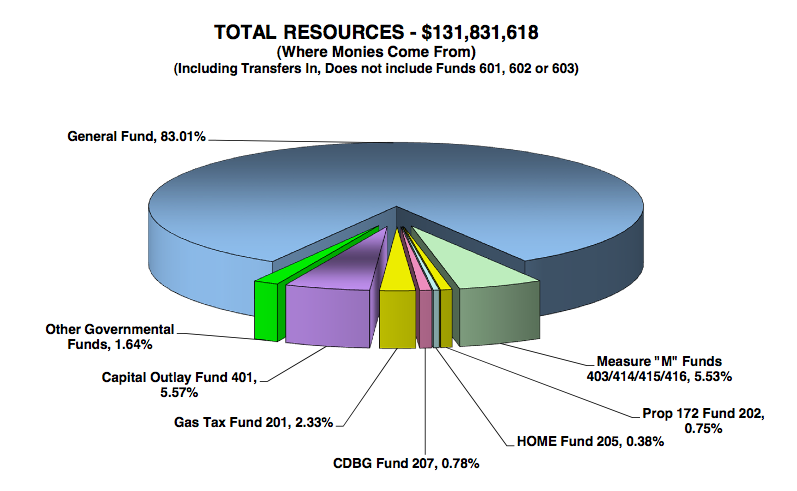 According to the announcement above, the budget is balanced without the use of fund balance and includes among the features summarized are a 42% increase in capital projects over last year; a 14.6% increase in the city's portion of employee retirement costs; a 4% salary increase for police officers; a prepayment of the city's cost of retirement benefits for general employees that will save $226,551; a four-year plan to fund the next generation of emergency communication equipment of $1.6 annually; creation of the Information Technology Replacement Fund that will receive $100,000 to accumulate funds for future replacements and upgrades and an increase in $300,000 in service improvements at the Senior Center. 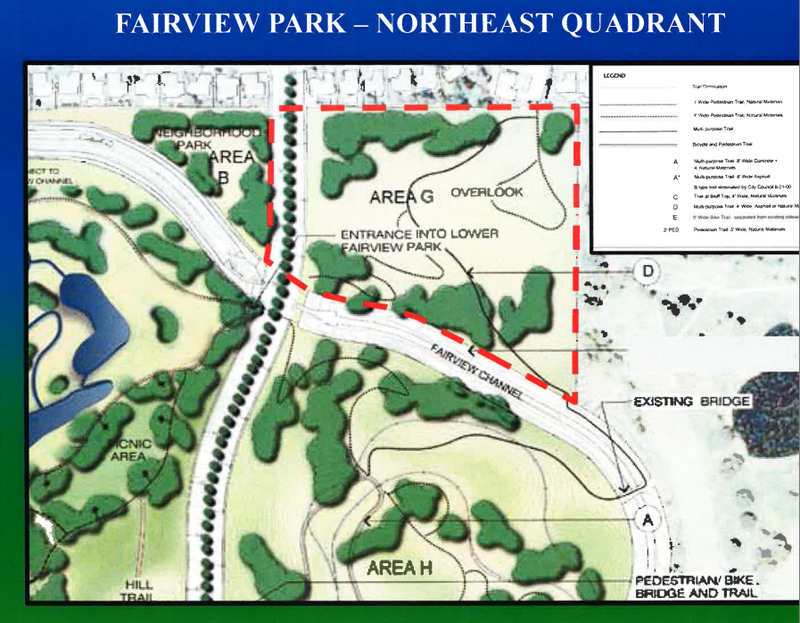 The Costa Mesa Fairview Park Citizens Advisory Committee had a pretty easy night of it Wednesday as they turned the page on yet another chapter of their assessment of Fairview Park with an eye to what might, or might not, be acceptable uses for various quadrants of the park. You can read the agenda HERE. At this meeting, marked by the seating of new member Frank Davern - he replaced deceased member David Stiller. It was also marked by the smallest crowd yet to view on of these meetings - fewer than 20 people showed up to observe and participate. I suspect that will change over the next couple months since we are heading for the Eastern Quadrants where sports fields advocates see gold in them there acres of dirt. 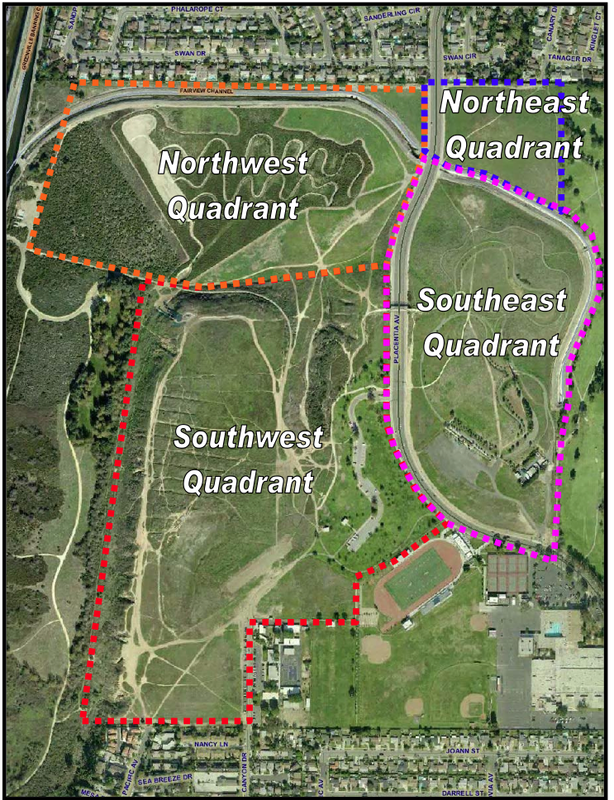 They agreed to recommend to the Parks and Recreation Commission that an additional picnic shelter be installed not far from the existing one in that quadrant. Consideration will be given to making sure it is ADA compliant. They agreed to recommend the improvement of existing information kiosks. After a lengthy discussion they voted to "table" until more information is available from the United States Fish and Wildlife Service about what we will or will not be able to do regarding the fencing-off of the vernal pools, or until their last meeting - whichever comes first. 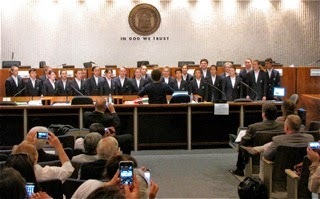 They voted unanimously to retain the existing elements of the Master Plan. 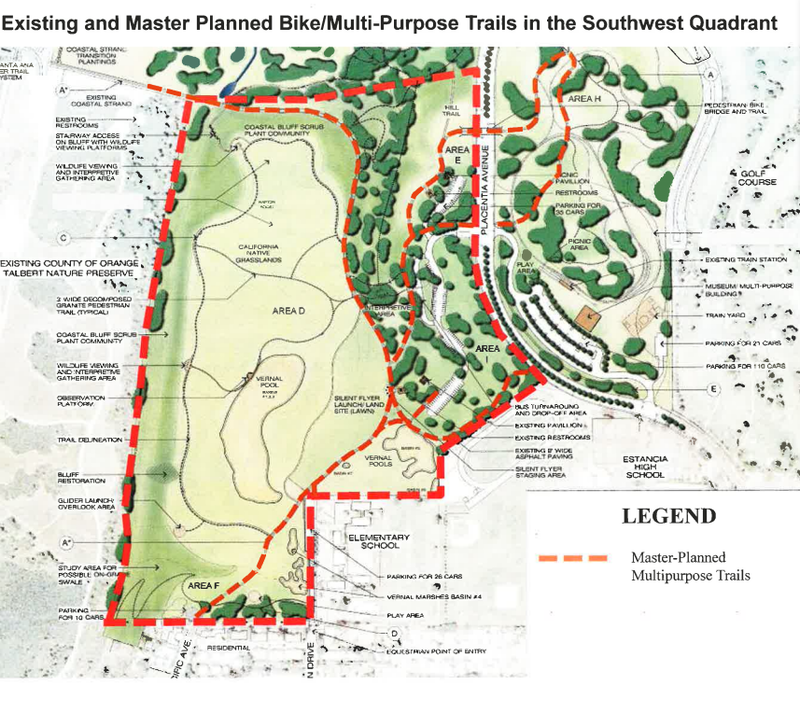 Following lengthy conversations and significant community input, on a close vote - 5-4 - the committee decided to study the possibility of expanding the bike trails and including an adjacent pedestrian walkway in the plans. And, they voted, 8-1, to recommend moving forward with the planting of native, drought-tolerant plants in one specific area of the park near where an Eagle Scout candidate recently did some restoration work. It was clear from some of the discussion - primarily by Ron Amburgey - that there will be a strong push to install playing fields in the area and during the discussion of the Southeast Quadrant, which will be coming up in a couple months. We shall see. 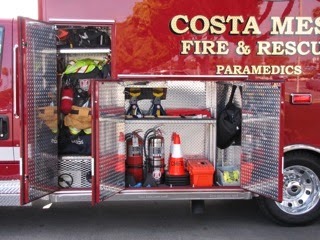 THE NEXT MEETING IS JUNE 4th..
As a preamble to the Tuesday night Costa Mesa City Council meeting the Costa Mesa Fire Department unveiled two of their new Paramedic vans in the parking lot of City Hall. Fire Chief Dan Stefano and several members of the design and build team that coordinated the acquisition of six of those beautiful pieces of equipment - worth $200,000 each - were on hand to give tours and explain to the members of the public and media present just what these trucks mean to the residents of the city. The City must now fill the four firefighter vacancies so all of the vans can be deployed. The unit were on display for an hour - from 5-6 p.m. - and dozens of employees and residents on their way to the council meeting took a look at the rigs. You'll be seeing them around town once the department is fully staffed and all of them can be deployed. Kudos to former Interim Fire Chief Tom Arnold for selling the city council on this proposal, and to Chief Stefano for carrying it out. Once the meeting began there were several presentations. First, Mayor Jim Righeimer found the highest-profile Rabbi in the area - Rabbi Elie Spitz - to lead the moment of solemn expression and then to receive a plaque recognizing Holocaust Day last week. A cynic might think this was intentional - an attempt to continue to peel off the scab on the wound Righeimer created at the last council meeting when he called me and four others out for a comment I made on Facebook. For his part, Rabbi Spitz delivered quite a nice little speech in which he spoke of "Words have power" and to "use them wisely". The mayor then acknowledged the firefighters in the audience and mentioned the vans. 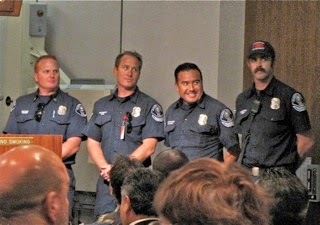 Captain Brent Turner spoke about the process of getting the vans and acknowledged the other members of his team present last night. 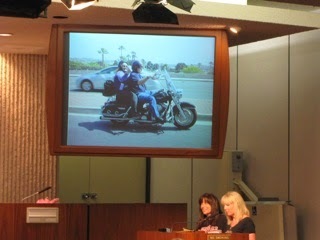 Then the women responsible for the "Provide a Ride" program - that gives motorcycle rides to blind and other impaired individuals. Started in 2004 as a class project, hundreds of impaired folks have had a chance to ride since then. It was a very nice feel-good story. Which brings us to the Public Comments segment. Righeimer decided, unilaterally, that since there were only 11 speaker cards submitted, we would hear them all instead of having one be trailed to the end of the meeting. Good decision - perhaps his only one last night. Another speaker - I didn't get his name - warned us of the potential danger from the radioactive plume heading our way from the Fukajima disaster. 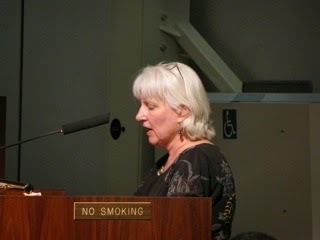 Sue Lester thanked Righeimer for permitting all speakers to talk now rather than later. She commented on the terrific job the CMPD did during the OC Marathon last weekend. She also addressed the heroic efforts of CMPD officer Matt Olin in saving the life of a drowned child and praised the city employees as very professional and included Management Analyst Dan Baker specifically. Former City Council candidate Al Melone complained about the shabby condition of the Dog Park and, specifically, the lack of shade trees. He got angrier and angrier as spoke, then told the council, "My days as a volunteer in this city are over!" Beth Refakes reminded us of the drive to collect goods to be shipped to our adopted Marine unit, the 1/5. There is a box in the City Hall lobby. She acknowledged the return of the Budget Question and Answer program next week and also observed that concerns about density and traffic seemed to have been ignored during the General Plan update process. Charlie Mooney suggested that, instead of shifting the library to the Neighborhood Community Center, the existing library be remodeled to add space and update it from a technological standpoint. Righeimer just brushed that idea aside. 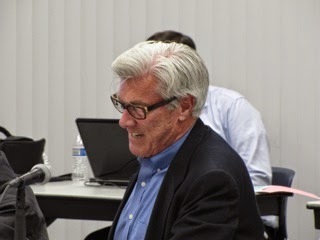 Greg Tunnell suggested that all too frequently council members have complained to the press that they were victims when adversity befell them in the form of criticism. 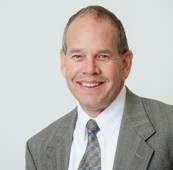 He observed that CEO Hatch is just a scapegoat, and that all the real decisions are made at the top - by Righeimer. 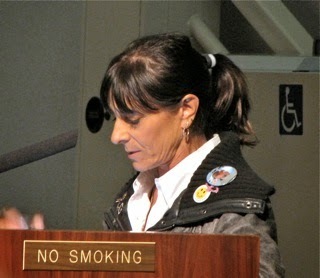 Tamar Goldmann observed that, while Righeimer's crew holds the majority on the dais, they don't have a mandate by any definition of the word, and pointed out the narrow margin Gary Monahan had held to be re-elected and that Sandra Genis was the highest vote-getter in the last election. 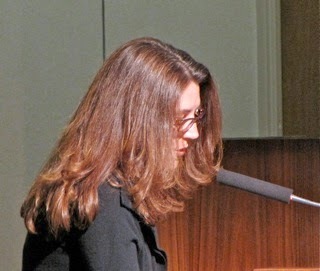 Cindy Black presented a hastily-contrived discussion attempting to link Righeimer campaign contributors to developers doing business in town. Harold Weitzberg addressed the recognition of the holocaust, then spoke briefly about how the kind of dictatorship that led to that terrible time started as something much smaller and wondered how we, in local venues, could be aware of such situations that might be starting locally. 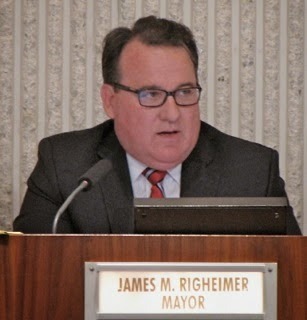 At 7:00 Righeimer began Council Member Comments by addressing the new fire equipment, the new traffic light coordination plan that will permit smoother flow of emergency equipment around the city, saying it would save $1 million each year and not require laying off a single person. He said the citizens are paying the bill. This man is deluded! He conveniently forgot to mention that the firefighters have been working backbreaking shifts for almost three years while he and his majority refused to let them hire more staff. Right now there are four vacancies in the CMFD which are keeping us from fully deploying the new equipment. Mayor Pro Tem Steve Mensinger launched his comments by telling Righeimer, "you are a guy, a father and a leader..." I thought I was going to puke! He praised the fact that the upcoming Mayor's Celebration was sold out and would raise $10,000 for high school arts programs in the city. 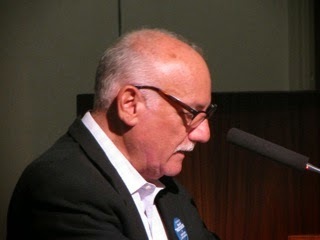 He touted the new Costa Mesa Connect app for smartphones, stating that he's used it nine times with great success. He said, "It's a lot better than the phone calls council members used to make to get things done." Uh-huh... that would be like the decomposed granite path, for example, Steve? He addressed the Dog Park - referring to it as the Dirt Park and suggested that we should clean it up and make it for residents first. Then he launched into a mini-rant defending "developers" and cited South Coast Plaza, Metro Point, IKEA and the Auto Club as examples of good developments. He said "it's in vogue to disparage change"... whatever that means. He then praised COIN, citing that it was conceived here - his baby - and mentioned that lame duck supervisor John Moorlach is pushing to implement a similar program in the county government. The thought of Mensinger being the sperm donor for a program that still has not demonstrated it's actual value made me smile. Sandra Genis mentioned a recent meeting of the Southern California Association of Governments (SCAG) which included a discussion presuming that toll roads were all but a done deal for most interstate roadways. She also corrected the record Mensinger had misrepresented about the developments he cited. Wendy Leece covered a wide array of issues, including the radioactivity concerns by the earlier resident; more trees at the dog park; wondered about the report from the 60th Anniversary Committee wrapup; indicated that an RFP will be issued for the new library expansion. She commented on the inclusion of the rabbi last night and suggested that we needed more diversity in the presentation of the moment of solemn expression and cited a very recent Supreme Court decision. 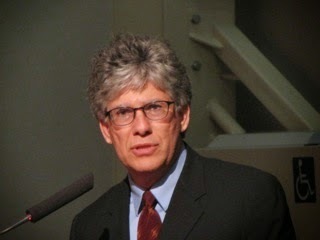 Gary Monahan - he actually showed up and actually spoke at this meeting - suggested that we go back to having an actual invocation instead of the moment of solemn expression; that we just go plant more trees at the dog park; that Industrial Way curbs and gutters need attention and that there are two fund raisers this coming week at St. Joachim Catholic Church (his church) and another for Kaiser and Woodland schools. 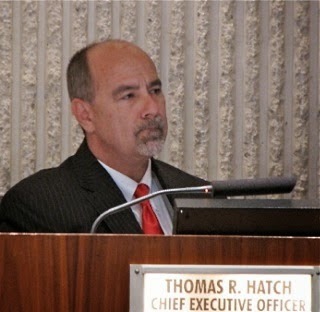 CEO Hatch began his presentation at 7:45 and told us the draft of the final report on the 60th had been circulated to the members and he hoped to have the final version on the city web site by week's end. He addressed the two meetings on the budget next week - and mentioned a $109 million General Fund amount. He mentioned the re-formation of the internal Elections committee to oversee and manage that process again this year. He also mentioned that the city crews had been dealing with fallen trees due to the wind - 22 in all, that there is a memo about the closure of the Hamilton Garden (see my previous post) and that the Orange County Board of Supervisors and Ganahl Lumber have signed a deal to expand that store into space below the 55/73 freeway interchange. Only two items, #4 and #5 were pulled from the Consent Calendar so the remainder were passed on a single vote. At around 8:00 Righeimer recused himself because he's involved with Mercy House and the council dealt with Public Hearing #2, the granting of CDBG funding. Several speakers addressed their organizations and the vote was taken for Mercy House and passed 4-0. Righeimer returned and the council voted, 5-0, to follow the staff recommendations on the remainder. 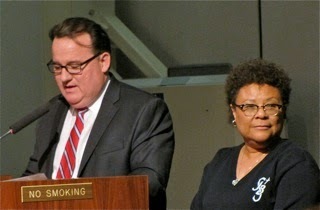 Then they addressed Public Hearing #1, the actual resolution of the agreement for the CDBG and HOME funds. After a short, fifteen minute, discussion it was passed on a 5-0 vote. They then took a 10 minute break. Public Hearing #3, the proposal for the development of 240 apartment units at 125 Baker Street began at 8:30 - and it ran on and on and on, finally ending at 11:40, followed by another break. This project discussion had some interesting twists and turns. For one thing, based on our current formula, it is underparked by roughly 20%, although Righeimer said it's not. Several developers or friends of developers - commercial real estate agents, etc. - stepped up to praise the project. A total of fourteen people spoke on this project, six of which supported it. The remainder didn't support it outright or had some misgivings about it. 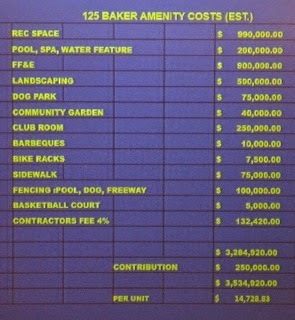 You'll note in this image, which shows the presumed costs of amenities for this project a number called "Contribution" for $250,000. Leece wondered where that number came from and was told by staff that it was a result of a suggestion by the mayor. It seems that Righeimer took it upon himself to contact the developer directly and suggest that we needed "something else" on this project, so the developer agreed to pony up a quarter million dollars. Righeimer acknowledged his involvement during the meeting! My jaw dropped when I heard that, as did those of several audience members around me. Then, again, nothing should really surprise me - more to come on that at the end. 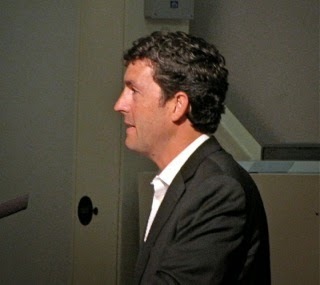 During one series of comments he made Mensinger was addressing the developers of this project and the way profits were going to be calculated. He said, "this is what they decided to do as an avocation." Well, my dictionary says "avocation" is "something a person does in addition to principal occupation. I suspect this is not an "avocation" for the developers - it IS their day job! 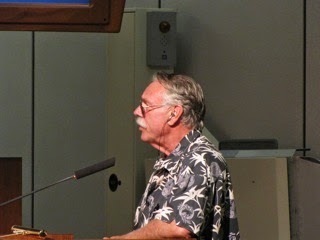 Righeimer went off on another of his long rants, saying at one time, "People want to live in Costa Mesa. They don't want to live in Irvine. They don't want to live in Newport Beach. They want to live in Costa Mesa because it's cool!" Then he complained about having too much "C office space" - as in a scale of A, B, C, D, E... He indicated that owners are selling out and the best return on the investment is housing. When asked how many such projects he expected to see, he said "probably not more than 1,500 or 2,000 units." Is that all? He also said, "We have to do whatever we can to to get jobs." Finally, just after 11:00 p.m., they began to consider each of the half-dozen motions. The first passed, 5-0, but then Leece balked and the remainder passed on 4-1 votes and they took another break at 11:40. It took us just under three and a half hours to get through that process. 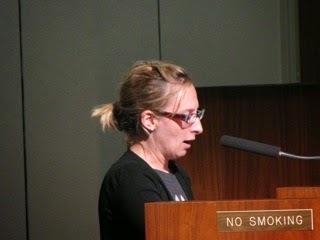 Next up was Mensinger's plan to revisit the sign ordinance. After a 10 minute discussion and one speaker addressing it - John Feeney - who has spent decades in a business that supports the sign business, the council directed that the issue be sent down to the Planning Commission for a study and assessment. Mensinger doesn't like the big monument signs, so we'll be spending thousands of dollars of staff time on this issue without clear direction. At 12:10 we began the discussion of the Ethics Policy. I've mentioned many times before that seldom does anything good happen after midnight after these meetings. This was no exception - except we got a very clear look into the mind of the mayor. Wendy Leece inquired of Assistant CEO Tammy Letourneau how we got here? What brought this item to us? She said that an audit recommended gathering up all the fragments of an ethics policy and putting them all in one place. She cited pieces of this in the Municipal Code and other places. Four people spoke on the issue. 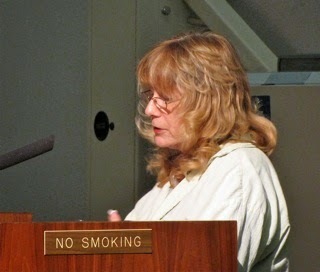 Sue Lester wondered specifically how it would be applied, especially to council members. Beth Refakes wondered about volunteers and consultants. What about the actual penalties? What about the MOUs? What about consultants? 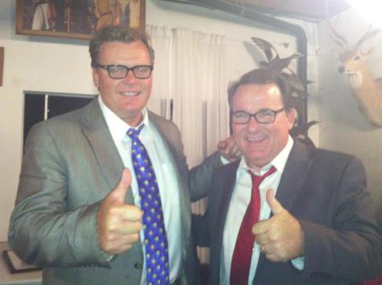 Robin Leffler wondered about the process - hearings, appeals, wrongly accused? Cindy Brenneman suggested that it will be good to finally have a clear policy that's easy to understand and follow. She wondered about penalties for council members who toss flippant comments at residents as they leave the speaker's podium - as happened to her earlier. During the subsequent discussion Righeimer's true self finally showed through. He said it "seems like a lot of work." and that "I'm not interested in it." Monahan suggested they just receive and file the report. 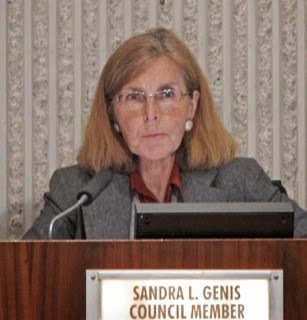 Genis suggested it would add transparency to their processes. Leece was perplexed because the auditor suggested it, that we should all work more closely together and with higher ethical standards. Mensinger aggressively asked her if she wanted them to be guidelines and enforceable? Who knows what he meant by that? Eventually, before they voted to receive and file it on a 4-1 vote - Leece voted no - Righeimer speculated that it would just be used as a "crudgel" - I guess he meant "cudgel" - for people to make false accusations and that the council would be flooded with paper. 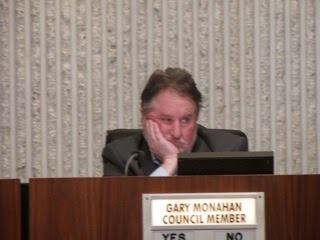 Whenever the discussion swung around to how council members would be handled he deflected it away. After watching that discussion - I encourage you all to watch that segment of the meeting for yourselves when it becomes available - it is very clear to me that our mayor simply cannot be bothered with worrying about ethics. THAT is chilling! Not unexpected, but chilling, nonetheless. It was now 12:35 this morning. 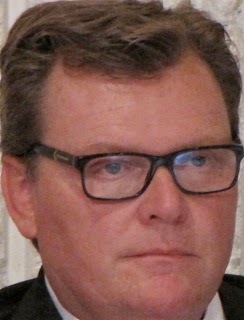 Jay Humphrey had pulled Consent Calendar items #4 and #5. Number 4 dealt with the General Plan review and he used it to complain that we had no Mobile Home Park ordinance and were losing open space. 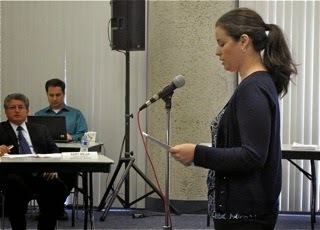 Robin Leffler also commented - that residents comments about density were not being considered. It was passed, 5-0. Number 5, the extension of a contract with West Coast Arborists, gave Humphrey the opportunity to point out that this is an example of something being "outsourced" when the mayor has proclaimed that was why we needed a charter. Unfortunately, the late hour and heads apparently turning to mush, allowed Righeimer to launch into his "Charter" rant again. Anna Vrska was a "trailed" public commenter, so she talked about ethics - Righeimer didn't like that too much and tried to shut her off, unsuccessfully. She also criticized him for referring to speakers as the "crazy crew", suggesting that was specifically the kind of thing the ethics policy would address. Robin Leffler also spoke, criticizing Righeimer for his "Don't hold your breath" comment to Brenneman earlier in the evening. 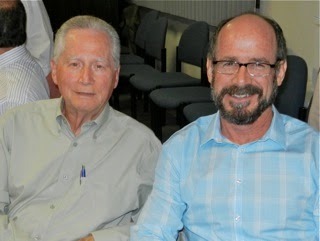 The meeting ended with us knowing a lot more about Mayor Jim Righeimer. We know that the rules don't apply to him, and that he won't approve any attempt to make rules that he has to follow - the Ethics Policy, for example. I read the policy and the modified version handed out at the meeting. It wasn't quite ready for prime time yet, but it would only take a little tweaking to make it work - some process issues needed to be clarified. So, dear readers, know that your mayor - the guy with hands firmly on the steering wheel of your city - simply isn't going to be bothered by ethical issues. He's going to do things HIS way, whether you like it or not - and he's got the votes to do exactly that. Six months from now you have a chance to change that situation. 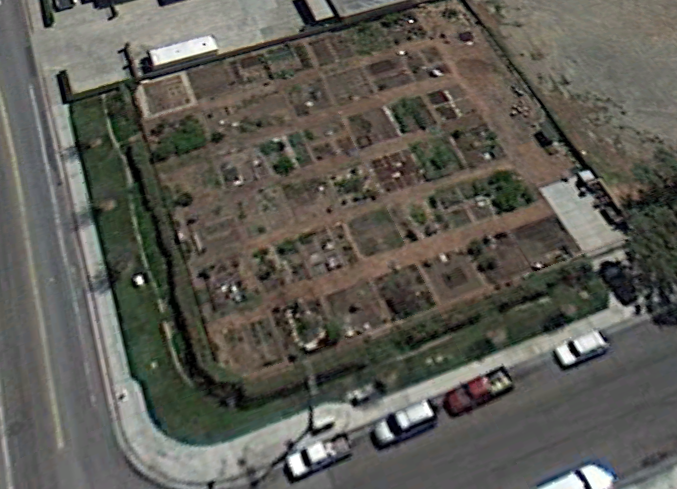 Today, via a letter from Public Services Director Ernesto Munoz, the City of Costa Mesa notified all gardeners presently using the Hamilton Street Community Garden at 523 Hamilton Street that it will close for one day, May 14, 2014, for testing for soil contaminants coincident with a planned development adjacent to it. You can read the letter from Munoz HERE. 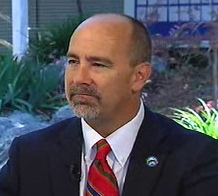 There will be a meeting at 4:00 p.m., Monday, May 12, 2014 in Conference Room 1A at which representatives from the County of Orange, Health Care Agency Environmental Health Stantec; and the California Environmental Protection Agency, State Water Resources Control Board will be available to answer questions. The Costa Mesa Fairview Park Citizens Advisory Committee meets again on Wednesday, May 7, 2014 from 6 - 8 p.m. in the Victoria Room at the Costa Mesa Neighborhood Community Center, 1845 Park Avenue (Lions Park). The agenda for that meeting is HERE. 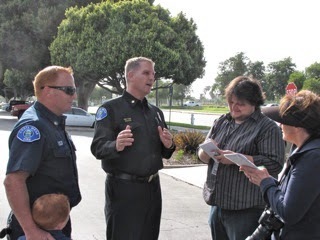 Directed by Chairman Dr. Richard Mehren and Vice Chair Steve Smith, this group will continue assessing current and possible future uses for Fairview Park - described by many as Costa Mesa's "Jewel". In past months they've been taking it one quadrant at a time, supported by staff reports based on their tentative plans. The committee will review the minutes from their last meeting on April 2nd, HERE. A quick peek at those minutes will give you a feeling for the tone of the questions and answers and the spirited discussions by members of the public, too. As I mentioned, the public is invited to participate by offering questions on each item. It will not surprise me if this meeting runs longer than the two hours scheduled. See you there.